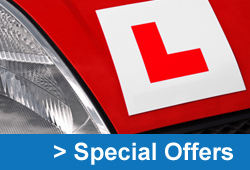 To learn to drive on the public roads you need to have a valid provisional driving licence. By filling out the form below you can order a provisional driving licence application or alternatively you can now apply online. You can apply for your provisional licence up to 3 months before your 17th birthday, you can then take your first lesson on your birthday.